CMS recently announced the proposed Patient-Driven Payment Model (PDPM) and it was a flurry of, “what happened to the RCS-1 proposal?” Add this to ongoing MDS RAI Manual updates and CMS appears to be in lockstep with refining the way it collects and analyzes clinical data through the completion of the MDS assessment, and how this will implicate provider reimbursement. How will CMS accomplish this? 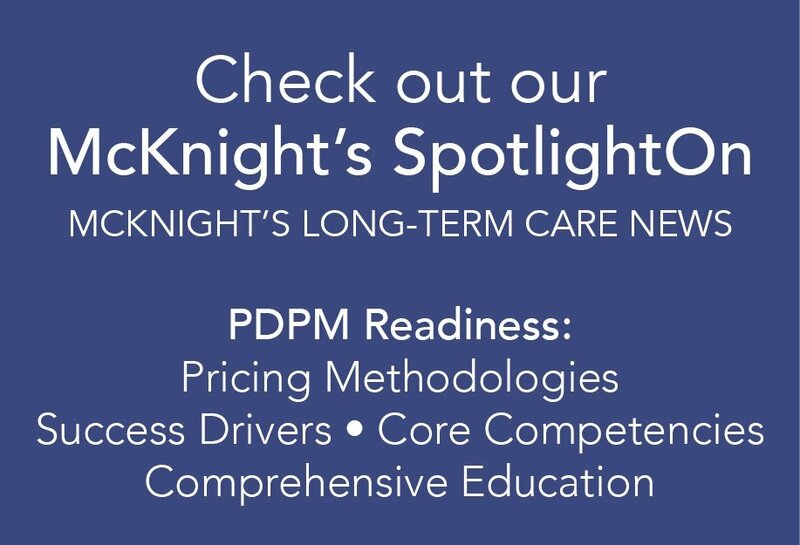 With the changes to MDS Section I set to go into effect October 1, 2018, we have a glimpse into how diagnostic categorizations outlined upon admission will frame this payment model moving forward. Specifically, we as providers will indicate the resident's primary medical condition category that best describes the primary reason for admission. This data ultimately will have a direct impact on the reimbursement associated with the resident in question. The time to ensure ICD-10 coding accuracy is now! Encourage your MDS Coordinators to participate in this important Open Door Forum Webinar on July 26, 2018 at 12:30 PM EDT. We will address the upcoming MDS 3.0 RAI Manual Updates specific to Section I0020 & I0020A, including its impact on SNF Quality Reporting Program requirements, implications when looking ahead to the proposed PDPM, and recommended next steps to prepare for these changes. Coming in July: Look forward to hosting the training on Section I Changes.